The Innov-ís NQ1300 gives you all the tools you need to transform both your wardrobe and home. Sewers will take garment construction to new heights with 290 built-in sewing stitches and the My Custom Stitch™ feature, which allows you to create personalized stitches. Whether you're sewing silk or denim, the Automatic Height Adjuster™ (AHA®) feature will help deliver smooth, even stitches every time. Quilters will delight in the large workspace and range of accessories including a wide table that make quilting fun and easy. You'll also love the Pivot function, which allows you to keep your hands free to rotate your fabric for virtually perfect corners. 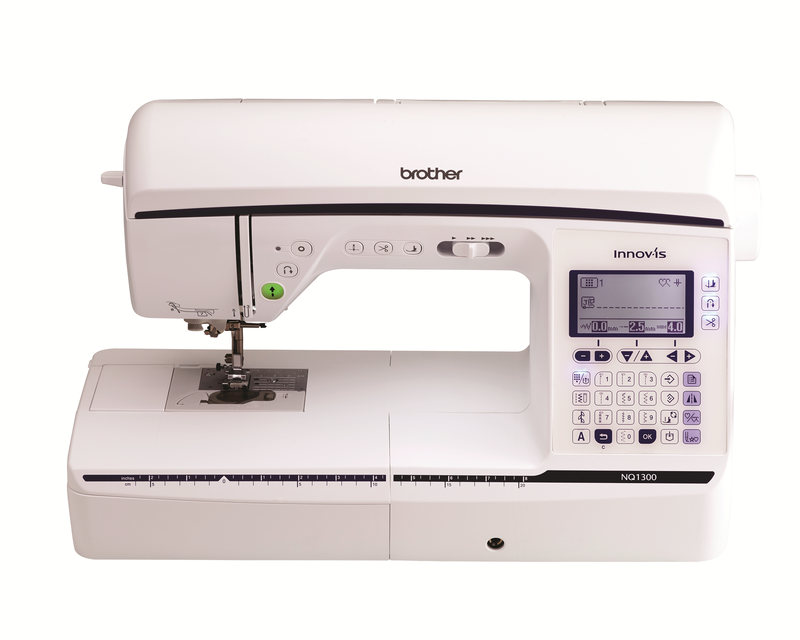 Feel inspired to tackle projects you never thought were possible with the Innov-ís NQ1300!